Personal and work commitments conspired against me this time round again. 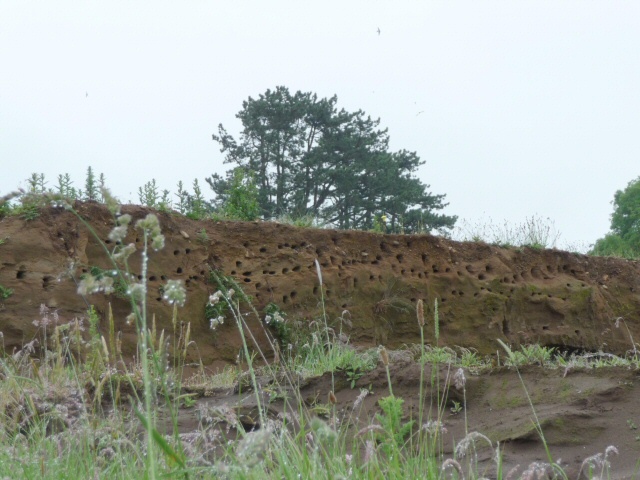 I had one small window to make a film about a colony of Sand Martins that have settled just 5 minutes' walk from my house, but by the time I got there, they had bu...., er, went away. The "cycle" part of the theme was to be a combination of the global financial crisis (the financial cycle - the colony is on a building site that has stopped work because of the recession), and also the amazing cycle of nature, where these tiny birds fly thousands of miles to make nests in a small damp country town. It was too much to expect that they would still be there. I had hoped for a second brood, it was fantastic to see the little chicks at the holes and all the feeding going on. By late July, they were all little dots in the sky moving at 60 miles per hour, and the nest holes were empty! 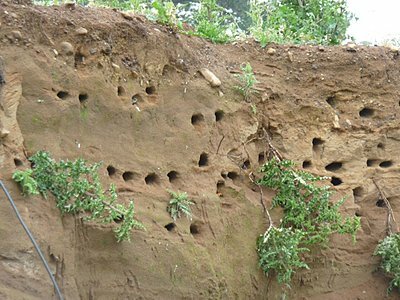 Sand Martins aren't my specialist subject, so I suppose you live and learn. Ah well. I've attached a couple of snaps I took on my compact stills camera earlier in the summer, just to show "what you could have won"! Oh well... I'm in too. dancing with the sharkies tonight! I'm diving in too. I thought I'd do the tidal cycle, with a time lapse of the rise and fall broken by shots of the surface water movement at various stages. Got started ok, but then the rain came. I really didn't have time for the time-lapse, and anyway the only possible place was by the life-boat station where there were always lots of people, so I'd have to stay with the camera. I was going to settle for a few seconds here and there of the tide at the lifeboat station, but the rain knocked it all on the head. Oh for that little thing called time . . . . .